Anyone out there make a New Year’s resolution for 2014? How about improving the value of your home? We have a few creative suggestions that you can use to significantly boost the value and appeal of your property. You might be surprised by how detail-oriented some buyers can be. Just because the property looks nice overall, doesn’t mean that there isn’t plenty that can be improved. Higher value properties can look great from top to bottom without losing that comfortable feel of a home. Potential sellers should also consider hiring a professional to stage their home. Studies have shown that this can drastically reduce the amount of time a property stays listed on the market. In other words, buyers really love a well-staged home! We actually covered the benefits of adding better lighting to the home in a previous post, but it’s worth mentioning again. You’ll want to take the time to ensure that the lighting for each room is right and you may also want to consider getting a professional to install new switches and outlet covers. Great lighting can really help make a lasting first impression. Installing some wood trimming or cornicing in rooms that have high ceilings should give them some extra pop. One tactic that’s worth mentioning is painting the walls a neutral color and painting the cornicing a high gloss white. This ensures that potential buyers will not miss this feature of the room and the contrast can be quite appealing. This makes a bigger impact on home value than most people even realize. A new paint job can give the property a lighter, cleaner look. 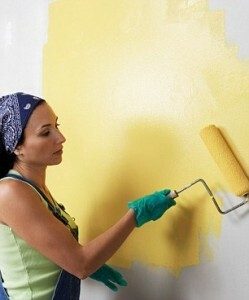 Just be sure to exercise caution when picking the paint— flashy colors will be a turn off for many buyers. 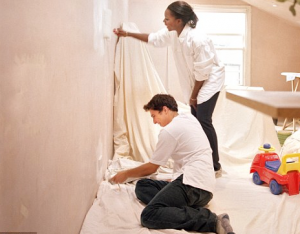 Sometimes a home may not even need a whole new coat of paint. Getting the grime scrubbed off the outside can elicit an impressive transformation. Anyone in real estate will tell you that the kitchen is one of the most important aspects of any home. A grungy or even outdated kitchen could be the difference between a sale and a “we’ll get back to you…”. If a full remodel isn’t exactly feasible, consider replacing the cupboard or unit doors. This shouldn’t be too expensive and it can make a big difference in the overall appeal for buyers. The bottom line is that even relatively simple changes can result in significant boosts for home value and appeal. 2014 is shaping up to be a competitive year for the housing market here in Orlando, and you’ll want to take steps to separate your property from the rest of the pack.